Prices & Homes Go Up Up and Away! Home prices across the Nation and in Montrose CO are hitting near mid-2000 peaks. As noted in prior blogs posts, this increase in equity is due to the diminishing inventory of homes. This squeeze can be seen in the decrease of the number of Days on the Market, which dropped from 83 days to 56 days in May. According to the S&P/Chase-Shiller National Home-price index, the Nation as a whole is down only 4% from 2006 prices, while the month of April experienced the largest equity gain in home values in over eight years. (U.S Home Prices Jump as Supply Pinch Plays Out). In Montrose Colorado, Homes are selling much closer to their asking price and are experiencing a mere 2% decrease from list-to-sold prices. The list-to-sold price difference in 2015 was closer to 5%. This tells us that real estate agents and/or consumers are listing homes closer to their market value, or that consumers are competing with other homebuyers and are therefore driving up prices closer to initial asking price. The latter is much more likely. 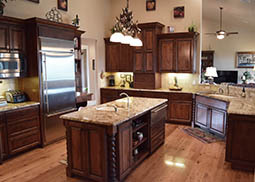 The Montrose Co Real Estate Market had only two homes sell for over $425,000 out of the 77 homes sold in May. The majority of sales (40 total) occurred in the $150,000 – $250,00 price range with 17 homes selling between $250,000 and $350,000. Montrose Colorado residents who once were trapped in unwanted or negative equity properties are now experiencing a market that is allowing them to get out. Many properties that were in undesirable locations, with bad floor plans, or were of poor build-quality are now selling to hungry buyers. At the same time, many sellers are leery to sell due to the lack of purchase options available once they do sell. Construction continues to lag in Montrose County relative to consumer demand. Permits for single-family homes totaled 22 since January 1st, 2016. Permits for single-family homes totaled 27 by mid-year of 2015. The shortage of new construction may be due to the tightening of lending standards/ post credit crisis regulations that are now in place. Many construction loans are requiring 25% down per build and banks are hesitant to lend beyond 2 or 3 speculation homes at a time.